The Dutch Centre of forced marriage and abandonment is set up in January 2015. It’s main purpose is information, advice and support for professionals dealing with cases of forced marriage and abandonment. The Centre offers short links between knowledge, policy and practice, collects and shares knowledge and promotes good cooperation among all relevant parties. The Dutch Centre of forced marriage and abandonment cooperates with the Ministry of Foreign Affairs when victims are abroad. In these cases, it is still complicated to help a victim to return to the Netherlands but the Centre contributes to more vigorous actions. 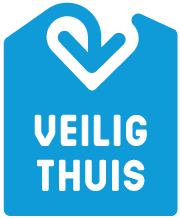 The Dutch Centre of forced marriage and abandonment is located in the Hague at ‘Veilig Thuis Haaglanden’. The Centre has teamed up with the Dutch national centre of expertise on honor based violence (LEC EGG), Movisie, the Netherlands Centre for social development, the Ministry of Foreign Affairs, the Dutch Immigration and Naturalization Service of the Ministry of Security and Justice, the Royal Marechaussee, the municipality of the Hague and the institutions and organizations for Honor Related Violence, Forced Marriages and Abandonment in the Hague.